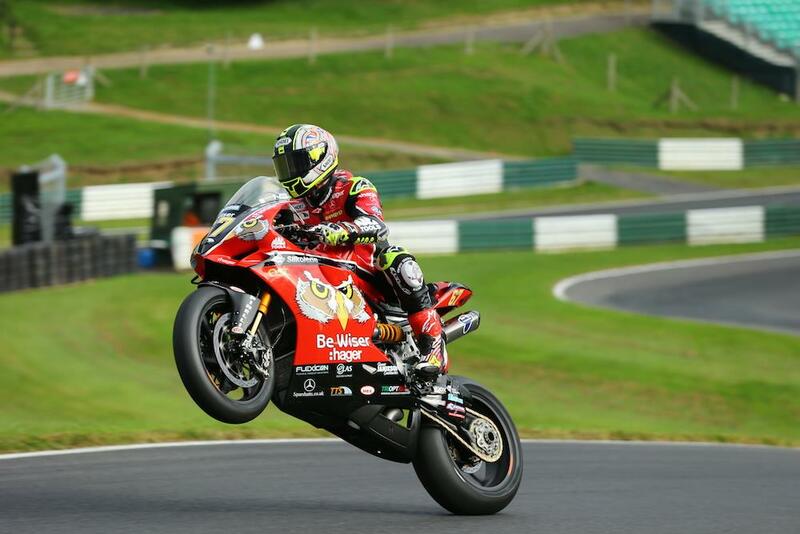 Shane Byrne heads to his home round of the MCE British Superbike Championship on a high this weekend after a positive test at Cadwell Park. The four-time British Champion was on for the perfect weekend at Thruxton, having topped every practice session, qualified on pole and won the first race on top of taking both the outright and official lap record, until a broken gear linkage ended what looked sure to be his first double with the Be Wiser Ducati. There was no rest for the PBM team as they then headed north to Cadwell Park for a two day test last week, with a focus on fine-tuning the Panigale R to the quirky Lincolnshire track. Happy with his progress during the test, Byrne heads into this weekend at Brands confident of keeping his championship challenge on track. “At the time the first day felt a bit average but it was good when I look back,” he told MCN. “To be honest, going to Cadwell two days after riding at Thruxton is like going from riding on the M25 to riding up your garden path so it was more getting used to the nature of the track more than anything. “We did a run of laps on the first day comparable to my race pace from last year and then improved that on the second day so I’m quite happy. It’s just a busy circuit, as soon as you get on the gas it feels as though you’re back on the brakes straight away!